When buying a used car, what should you look for as there are endless possibilities? 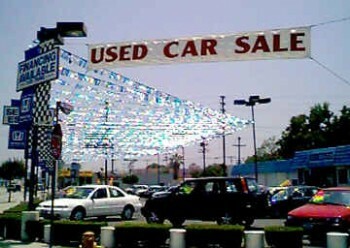 Most of the times people who look for a used car have apprehensions about the condition of the car. You are buying a car “as per “the condition, since you are not aware about the condition of the vehicle car, it may in fact become an expensive buy. If the condition of the car is not good, you may to make frequent visits to the garage to get it repaired. Before you think of buying a used car for your electric car conversion project, here are some guidelines which will help you to get a good deal, this will ultimately save your time and money. Before you actually buy the car, you may approach a dealer; dealer can be of great help in finding you a quality vehicle. If you do not have any idea about a reputed dealer, you must ask your friends and relatives about the dealer. If this does not work, you check with Better Business Bureau to find a trustworthy and reputed dealer. Once identified, you can check the cars available with the dealer, this will save your time as you will not have to run from one place to other. A good and trustworthy dealer has many used vehicles for sale, you can choose from the several vehicles available at the dealership. Ask for the history of vehicle, most dealers have complete history of the vehicle, you must see that the vehicle you are looking for is accident free. If you purchase from a private seller, you may to get the history of the vehicle yourself and this will cost you extra money, you may also be looking at extended warranty. Extended warranty is available only with the dealer, the private seller cannot give you extended warranty. The extended warranty will ensure that in case of any major breakdown, you are assured of repairs, this will save you from spending extra money on the repairs. Before you sign on the dotted line, you must read the fine prints of warranty and understand it fully and see what dealer has to offer. You must see what is covered under warranty and what has been left out. You must carefully see in case of repairs, how much will be the cost you if not covered under warranty. Now is the time to test drive the vehicle, ensure there is no clanking or banging noise, this means that the car needs repairs. You can also see from the rear mirror any unusual smoke from the exhaust; this could signs of faulty engine. Apart from checking the vehicle from outside, equal attention should be paid to the interior of the car. Check everything like air conditioning, automatic windows, locks and radio. If possible check the pre maintenance records, such records will make it easy to judge the condition of the car. You must remember you spending hard earned money and to ensure that you get a good vehicle should be your priority.